About Us – Early Learning Coalition of Marion County, Inc.
Our Children and families in our community will have access to quality early learning programs that nurture their learning potential and prepare them for their educational success. To provide leadership and foster partnerships to optimize a quality early learning environment for our children through child care, voluntary pre-kindergarten, and parent education. 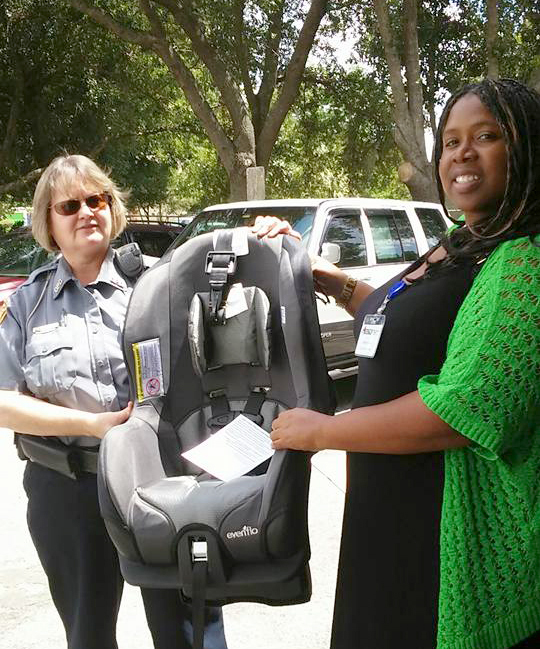 Success By 6 Coordinator, Chrissy Vickers, helps load up car booster seats donated to the Ocala Police Department. New and innovative approaches to improving the quality and availability of early education opportunities for every child in Marion County while maximizing efficiency, accountability, and effectiveness remain a top priority for the ELCMC.